Hi Joe, I really like your idea about working with investors. Can you explain how it works, how you find them and how you find good properties for them? Sera T. in San Francisco. Investors are the lifeblood of my business and will be for yours, too. 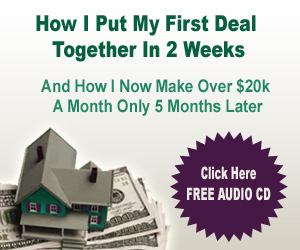 I’m going to show you how to find them, how to get them to want to work with you, and some of the techniques I use to do it, so that you can make more money as an investor and as a real estate agent as well. “I really like your idea about working with investors. Can you explain how it works, how you find them and how you find good properties for them?” – Sarah T. in San Francisco. 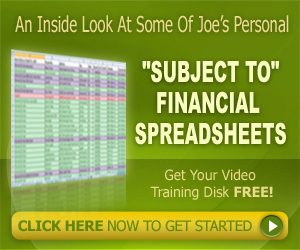 Joe: I have over 45,000 people who are investors that are on my list currently. I send out an email to them every day. Some of those emails sell the things that I teach (I make a lot of money off of teaching and coaching and cd’s and books). It’s a publishing company – it’s called “Crump Publishing”. It’s been very good for me. Joe: I love this business. It is just a lot of fun. It’s a lot of fun, first of all, to make a lot of money! 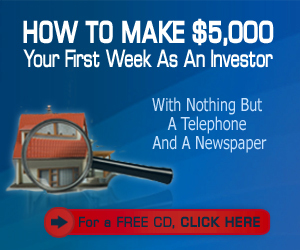 Somebody said to me, ‘Boy, instead of getting into investing, you should get into selling books about investing because you’d make a whole lot more money!’ Well, you do make a whole lot of money selling investing books, if you know how to market and if you know how to do this type of thing. One day, it may be something you’ll want to get into as well once you understand how to do it. I have so much experience as an investor that my credibility is pretty high when it comes to selling these types of programs, so that makes selling them easy for me. Joe: I’ve also worked on it for ten years; I’ve been selling programs like this for ten years now. They keep changing and they keep growing. The technology is going all over the place, and I’ve learned so much from my students over the years. I’ve learned about every single market in the entire United States through this process, so it’s given me a really good, diverse idea of how to market and how to make this stuff work. 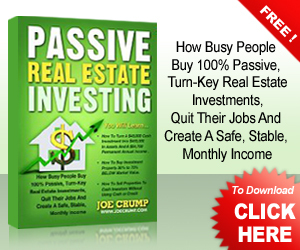 Then, when we started using the internet marketing techniques to actually invest in real estate and to find leads, then everything changed. Joe: Anyway, you asked me how to find investors, and I kind of got off on a tangent because I enjoy the process of teaching so much. 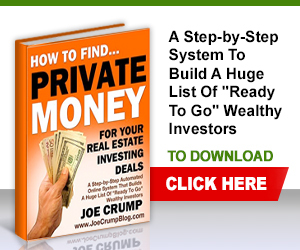 Joe: To find investors, you can find them on Craigslist. I use eBay. I’ll put properties that I have for sale up on eBay and I’ll give them an opt in link that they can go to and then, they can opt into my list and get more information. I put an audio there that teaches them. I have a series of emails that I send out to help them. Joe: I created something for my mentor students, a newsletter with a template that they can send out. They can make minor revisions. 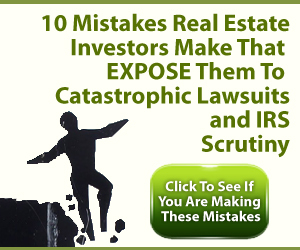 I also wrote a bunch of different articles they can use and send out to their list of investors. They can keep in touch once a week with their investors, and they send out all of the properties that they have for sale. They can send out new deals they’ve found, and it doesn’t have to be properties that they’ve personally listed – it can be properties that they find in the MLS or properties that somebody brings to them that they found through the other marketing techniques, whether they’re FBSO’s, expireds, for rent deals or people coming in through the other advertising techniques that we use. Joe: We also use eBay which has been very effective. 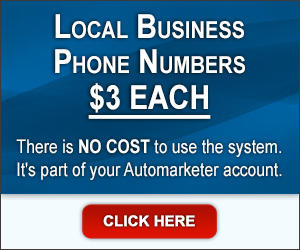 I probably bring in 8 to 20 new leads from eBay every single day. Just like clockwork – we’ve got it set up so that it happens every single day. All I have to do is screw around with it every three months (you can put in a listing in there for three months at a time). I can probably expand on that if I want to (I just haven’t had the time to do it). 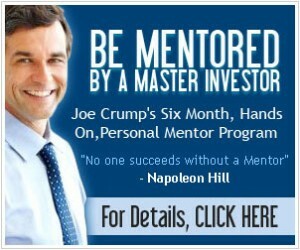 Joe: And, you should seriously think about getting involved in this Mentor Program. I know I haven’t talked about it very much in these videos, but it’s a very powerful program and you should go take a look at this process. 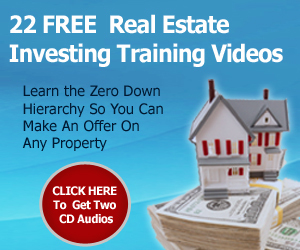 I’ve got a video that’s geared specifically for real estate agents and it shows you some of the things that you can use real estate investing for in your real estate business in order to not only make money as an investor, but also to make money as a real estate agent, e.g. 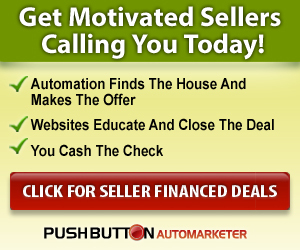 increasing your listings, increasing your sales, etc. If you’d like to go listen to that audio, it’s free. It’s at JoeCrump.com/realtor (r. e. a. l. t.o.r. – all lower case, all one word). I hope that helps. Thanks, now.